Many people desire a brighter, cleaner, more attractive smile, but they have chipped, stained, discolored, unevenly spaced, or even slightly crooked front teeth. If this sounds like you, we will be glad to help evaluate your specific situation, listen to the exact changes you have in mind, and show you how we can improve your smile even before any treatment is performed. Porcelain veneers are ultra-thin sheaths of dental ceramic designed to cover multiple imperfections in teeth at a time. As a cosmetic treatment, porcelain veneers are one of the most comprehensive options you could choose. Often, porcelain veneers can provide a completely revitalized and dazzling smile in just two appointments. Since they’re made from porcelain, they’re designed to reflect light much like natural tooth enamel. Plus, porcelain is actually one of the most durable dental materials dentists use for cosmetic treatments. With proper at-home care and regular dental visits, you can expect them to last for at least 10 years. Traditionally, porcelain veneers require buffing of enamel in order to place. 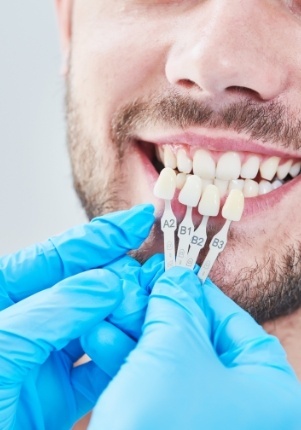 For veneers to look natural on teeth, there needs to be room made for them to sit flush, otherwise they will look too large and disproportionally stand out from the rest of your smile. Keep in mind that buffing down enamel is a permanent process, which means your teeth will need veneers for protection in the future. 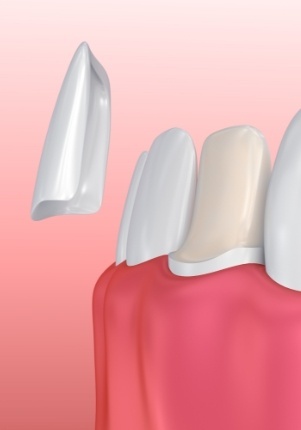 How Can Porcelain Veneers Transform Your Smile? The procedure itself only takes two appointments to complete, but this can vary depending on your needs. Those who are pursuing a very extensive cosmetic treatment may need multiple visits to have all of their veneers fabricated. After Dr. Gregory and Dr. Kent examine your smile and listen to your needs, they’ll numb the area around your tooth to prevent any discomfort during the buffing process. 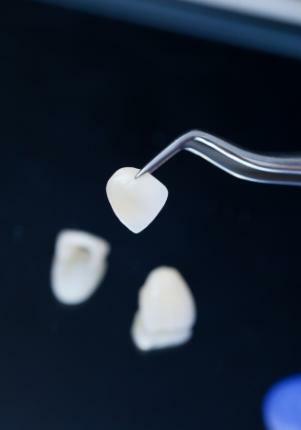 Afterwards, they’ll take impressions of your smile and send the molds to a dental lab where the veneers will be created. You won’t have to worry; the exact color, shape and size of your veneers is taken into consideration before they are created. This ensures that you get a restoration that gives your smile a positive and breath-taking transformation. After about two weeks, the veneers will be made and you’ll come back to the office to have them fitted. Additionally, porcelain does not contain all the cracks and crevices that natural tooth enamel does, proving them to be less susceptible to stains. This only makes it easier to maintain your smile’s appearance, assuming you brush twice a day with fluoridated toothpaste and floss daily. Ready to explore your options with porcelain veneers in Mt. Pleasant? Contact our office today to get started!